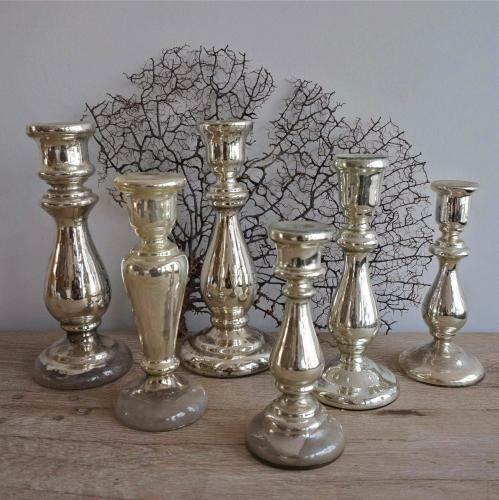 A wonderful set of six 19th century mercury glass candlesticks with a beautiful faded metallic patina. French circa 1850. Various sizes available separately or as collection.